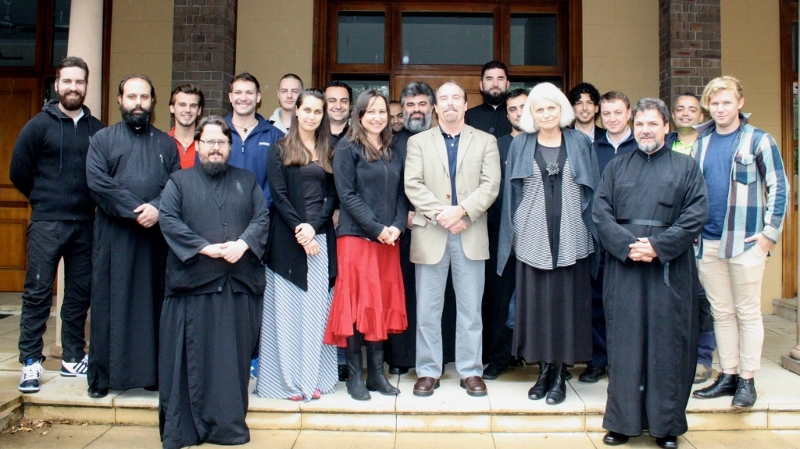 Professor Paul M. Blowers (centre), the Very Revd Dr Doru Costache (right), along with reverend clergy, students and participants in T9684A Patristic Profile: St Gregory of Nyssa. 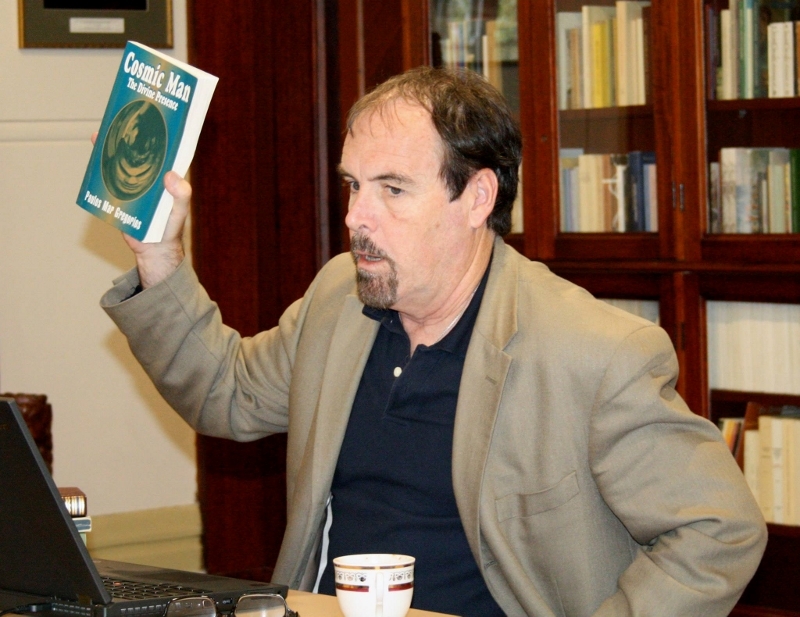 Professor Paul M. Blowers with participants. 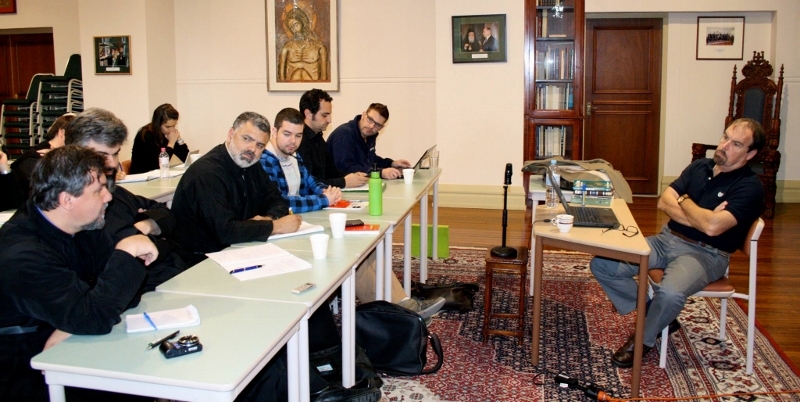 Professor Paul M. Blowers (far right), and the Very Revd Dr Doru Costache (far left), along with clergymen the Revd Fr Anastasios Bozikis, Revd Fr Stavros Karvelas, and other participants. 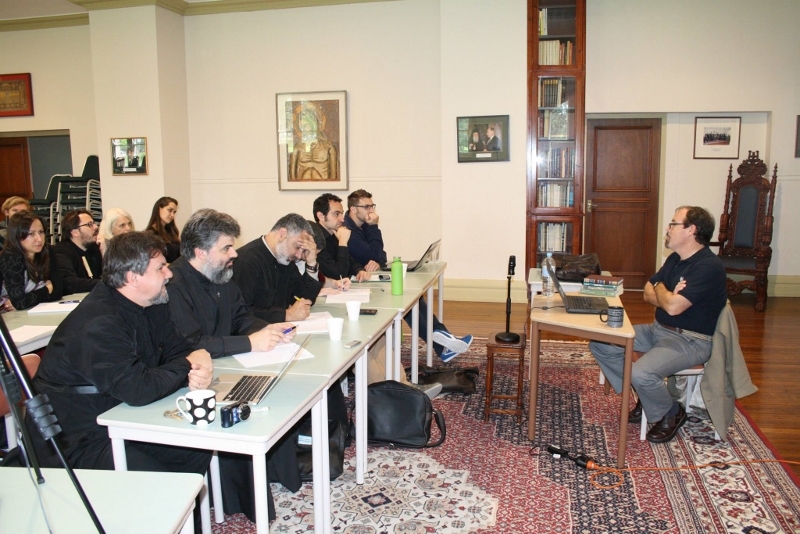 Professor Paul M. Blowers engaging in fruitful discussion with the Very Revd Dr Doru Costache. The Very Revd Dr Doru Costache and Professor Paul M. Blowers. 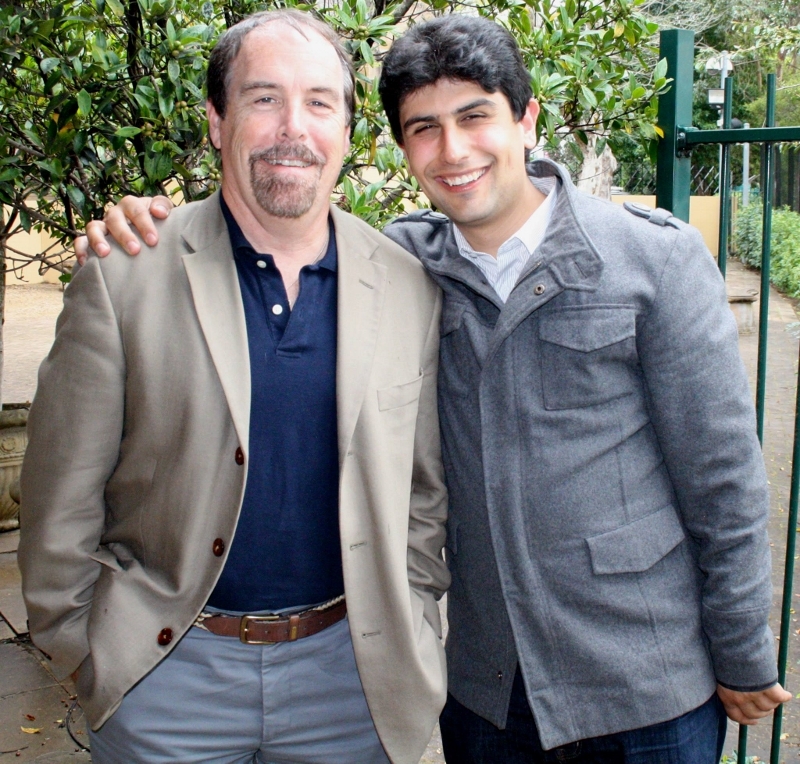 Professor Paul M. Blowers and Mr Mario Baghos, Associate Lecturer in Church History at St Andrew's. 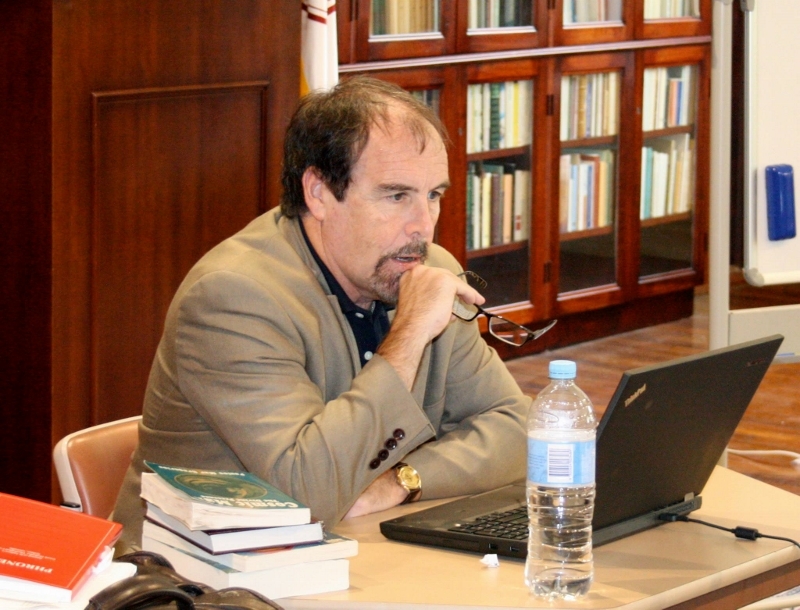 On 24-25 September, 2014, St Andrew's was pleased to welcome Paul M. Blowers, Dean E. Walker Professor of Church History at Emmanuel Christian Seminary in Johnson City, Tennessee, who lectured for two days for the residential component of T9684A Patristic Profile: St Gregory of Nyssa, hosted by the Very Revd Dr Doru Costache, Senior Lecturer in Patristic Studies at St Andrew's. 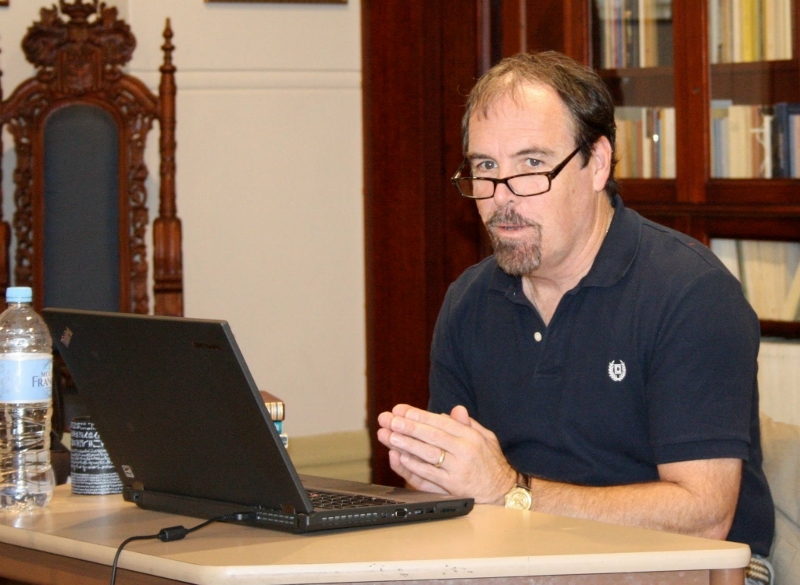 Professor Blowers' lectures were very well attended by students, clergy, and the St Andrew's faculty, and were met with much enthusiasm and acclaim.